When Oadby GC in Leicester closed in 2012 it was symbolic of the problems the industry was in. This year it will re-open with a new name – and a focus on making the game fun and inclusive. Seven years ago, after it emerged that it had made a shortfall of £533,000 over the previous seven years, Oadby Golf Course, half-situated inside Leicester Racecourse, closed down in a sign of the struggles the industry was facing. 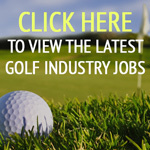 This year, indicating that the industry is in a much stronger position, it will reopen as The Leicester Golf Centre. 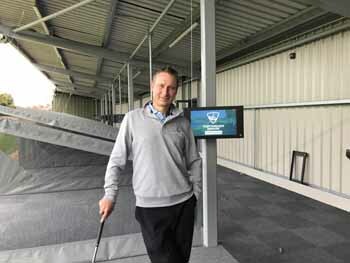 PGA Advanced Fellow professional Anders Mankert, who has taken on a long-term lease of the nine holes – now called The Gallops – that were not situated within the racecourse, has taken on the former municipal venue. 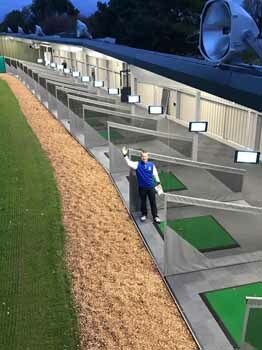 Throughout 2018 he built a sophisticated 16-bay, floodlit driving range at the club where each bay is connected to a Toptracer touch screen television, which means golfers can practice their skills on some of the most famous golf courses in the world. However, Mankert has had to delay the reopening of the course, which had been maintained only to a basic standard since closure, by a few months from a planned opening of last autumn. He said: “The long, hot, dry summer created some challenges, not least when the new irrigation system broke down, which saw us having to water by hand to save new greens. “But it is now looking really good. I think it is only sensible, however, to wait for the greens to become more mature before we start to bring them into play. “There will be no dress code and we have even introduced our own selected and sourced coffee beans, so anyone who would just like to pop in for a coffee will be equally welcome and made to feel at home. “For the driving range, sporting couples could come here on a date and youngsters, perhaps hitting a golf ball for the first time, will be able to see just how far and where their shots have gone, be encouraged, so perhaps start to progress from their initial visits into a game which could develop into a lifetime’s interest. “It is a long held ambition of mine to have my own golf course, so this is a highly exciting time in my career. My wife, Pippa, assistant PGA pro Tom James, and my young head greenkeeper Adam Preston, will be working with me at this new golf centre and we will combine to create a friendly, relaxed atmosphere, so that all visitors can enjoy themselves whenever they come along. Mankert is a widely acclaimed, award-winning coach, including working closely for many years with totally blind and visually handicapped golfers. He has awarded several year-long scholarships for young golfers too – boys and girls – which have seen the recipients achieve success in the game, including for Ryan Evans, now a European Tour pro. “So many golf courses are shutting down these days but what I aim to offer is something a little different,’’ he added. “Many people just don’t have the time to dedicate five or six hours to playing 18 holes of golf so that’s why a smaller course which can be completed in under two hours works. “I want to make it much more family-friendly and accessible, so we won’t have membership fees. fantastic breath of fresh air. Now just add the new Hybrid golf ball developed for the smaller course… and the course will be complete! Gives the full game in 1/2 the time with more enjoyment & satisfaction!